Long Pines Townhomes is in the highly desired of Coconut Creek. 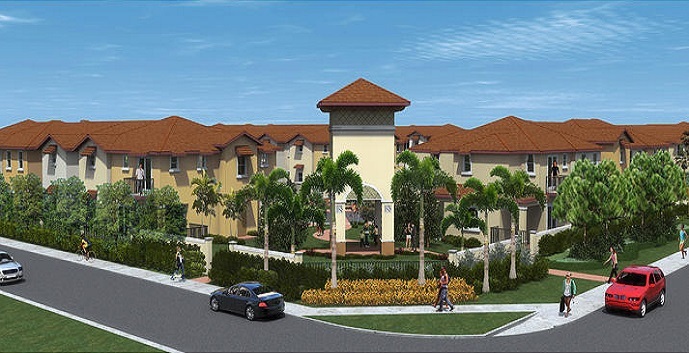 Located on Hillsboro Blvd, Long Pines Townhomes will provide easy access to everything. Long Pines Townhomes will have 50 townhomes and offer a community pool, a jog / walk path and nature preserve. Long Pines Townhomes offers 4 different floor plans all 3 bedroom, 2 and 1/2 bathroom town homes. Alhambra Model - 3 bedrooms, 2 and 1/2 bathrooms and 2 car garage. 1,444 total sq.ft. Bolero Model - 3 bedrooms, 2 and 1/2 bathrooms and 1 car garage. 1,146 total sq.ft. Cordova Model - 3 bedrooms, 2 and 1/2 bathrooms, great room, den and 1 car garage. 1,645 total sq.ft. Valencia Model - 3 bedrooms, 2 and 1/2 bathrooms, great room and 1 car garage. 1,469 total sq.ft.